Price Reduced to Sell! Incredible value for this large 3 bed, 2.5 bath townhome w/1,958 xD; xA;s.f. of interior space. Great single family home alternative w/extended living area that xD; xA;opens out to a tranquil private park & allows for natural trade wind flow. Features xD; xA;Travertine & bamboo floors, split AC, newer windows & enclosed entry courtyard perfect xD; xA;for outdoor entertaining & BBQs. Koko Isle is a highly desirable & well managed complex w/resident manager, boat docks, xD; xA;waterfront pool & club house. Recent upgrades include new fencing, new roofing and xD; xA;driveways in the process of being upgraded w/brick pavers. Pet friendly & conveniently xD; xA;located near shopping, dining, entertainment and some of the best outdoor activities on xD; xA;the island. Call for a showing today! 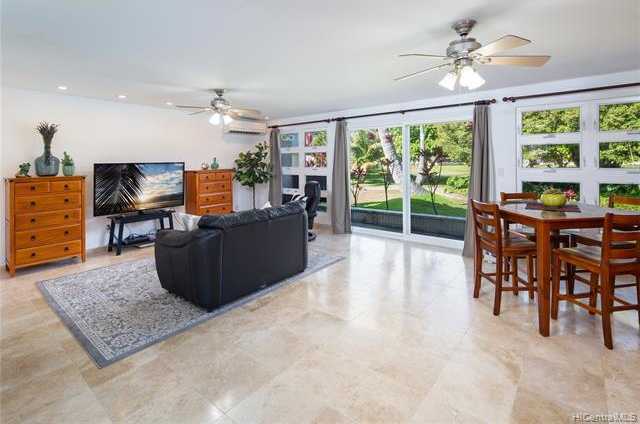 Please, send me more information on this property: MLS# 201900327 – $830,000 – 216 Koko Isle Circle Unit 1708, Honolulu, HI 96825.